Ladies UPF25 Xtreme-Tek breathable, moisture-managing 100% Polyester interlock fabric. Fresh assurance with anti-bacterial treatment. 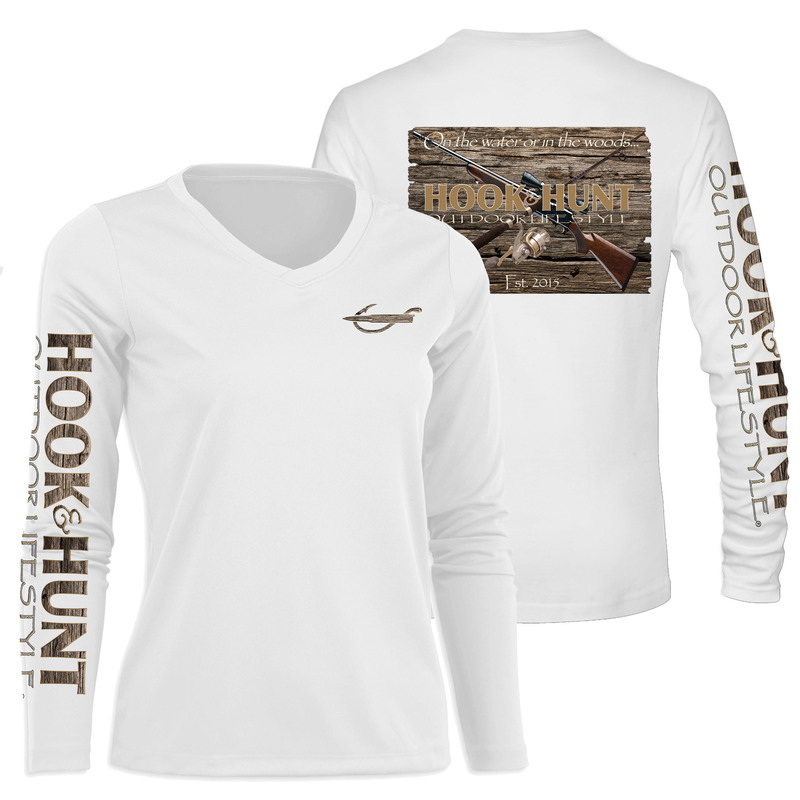 Hook & Bullet Woodgrain logo on left chest, Wood Combo Rod & Rifle design on back and Hook & Hunt Outdoor Lifestyle woodgrain logo on right sleeve.